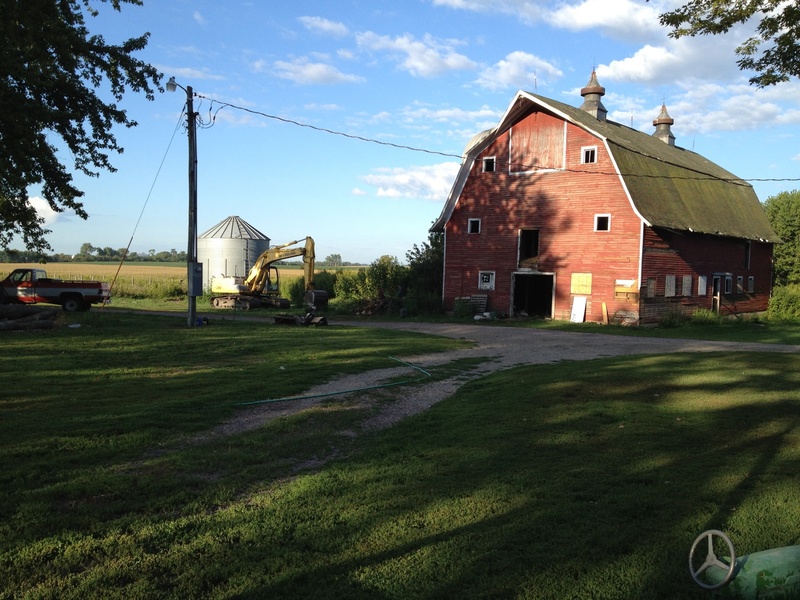 While the building hadn’t seen a dairy cow since 1976 (or so), the building has stood and been used for many years since then and was a centerpiece of my childhood. 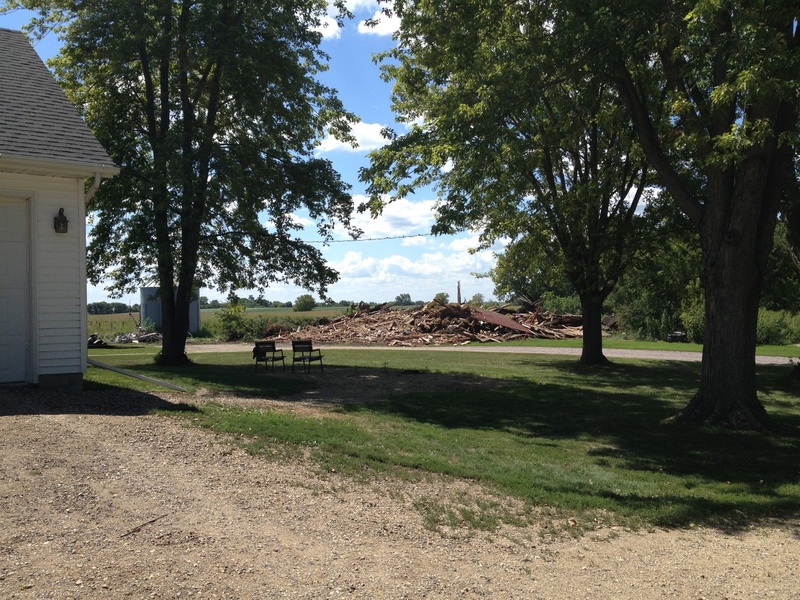 It was a big, red, wooden, and now falling-apart dairy barn and while it is now gone, the memories made in it, either working or playing, will not fade away. Many a day was spent feeding the myriad of animals housed inside at any one time be them pigs, calves, beef cattle, sheep, goats, or cats. Many an afternoon was spent unloading hayracks filled with alfalfa, straw, or road ditch usually freshly baled right before rain. More than a few pigeons were shot with air rifles and tossed down to the waiting felines below as they waited for the latest meat to go along with their dish of milk replacer from the morning’s chores. While they were not all good memories at the time (that was one stuffy hayloft when in the heat of summer with no ventilation), now they all seem not-quite-so-far-away and all the more sweeter than before. However, the past makes way for the future and (hopefully) a new machine shed to house the new machinery that is needed for a modern farm. 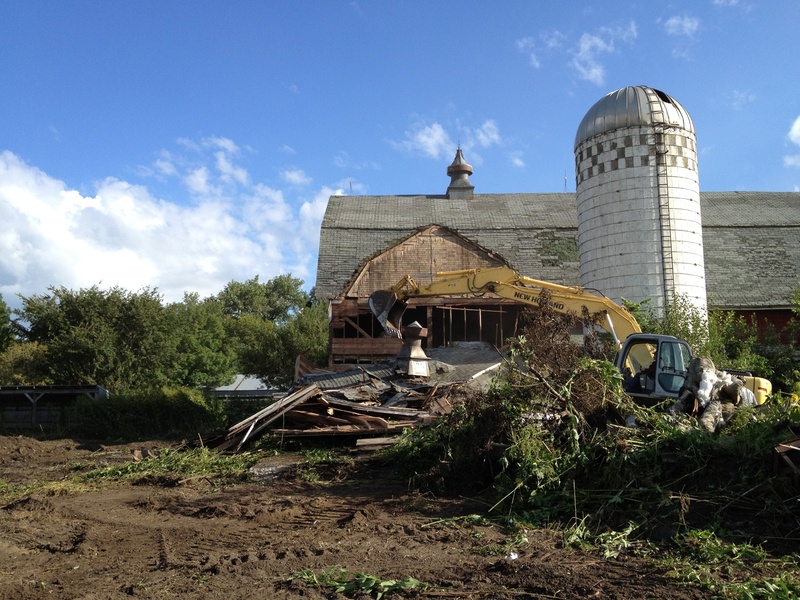 While the barn had served quite admirably, and more than just a tiny part of me would have loved to see it stick around, the future needs the space and so we bury an old friend so that we might make the farm stronger and keep it around for future generations. Thank you, old friend, for the memories. You will not be forgotten. Great post Bob. This is the way we are to view the buildings in our lives. Yes, sometimes you need to let go and move on. I think there is a little bit of the “sunk cost fallacy” in here as well. Sadly, I think after today it is all going to be buried. Time to make way.